We had 19 Emerald Green Arborvitaes planted on Monday morning in the rain. These guys were right on time, work was quick and the trees are beautiful. Thank you! I purchased 46 trees and had them planted a little over a year ago. I was impressed with the quality of the trees as well as the quickness of the installation. I am delighted to say the trees are all doing great. We would recommend low cost trees to everyone. I had 28 trees installed on Sept 19, 2014. They were the very pleasant, hardworking guys. I am so happy that I ordered from them. I love my trees, I would highly recommend anyone looking to purchase trees to purchase from them. I plan on purchasing more next fall. we purchased 12 two years ago, they're all healthy, growing well, look great. much better than what you could buy at HD or costco. highly reccomended. I am so happy!!! Shane and Jason were here at my house this morning in Ridgefield CT to plant 20 trees for us. They were the nicest guys. Very hardworking and knowledgeable. I was skeptical about ordering trees from an ad in the paper but so happy I did. We ended up buying more from them and plan on purchasing again in the fall. I would definitely recommend them to anyone that needs trees. Shane and Jason just installed 43 "green giants" at my house in CT yesterday and they did an incredible job. Both Jason and Shane are very knowledgeable, professional, and great to talk to. Above all else, they were straightforward to deal with, were on time, and the installation/finished product well-exceeded my expectations! I would absolutely recommend these guys for your next privacy tree installation! 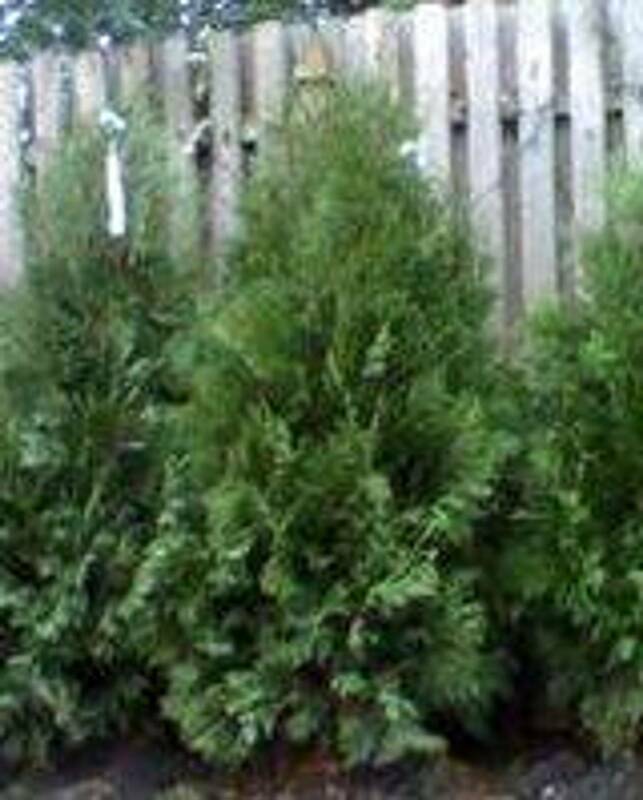 After my husband passed I considered canceling the order for 20 Arborvitae that he had placed thinking they would be too sad a reminder. So Very Glad I didn't !!! The trees are a wonderfully beautiful reminder of how we much we loved and shared our garden together. Shane's crew planted all 20 6' trees in the pouring rain, navigating their wheel barrows around our narrow paths, arbors and gazebo to get the trees to their designated planting spots...all with a smile and upbeat attitude. Thank you Shane and Crew!